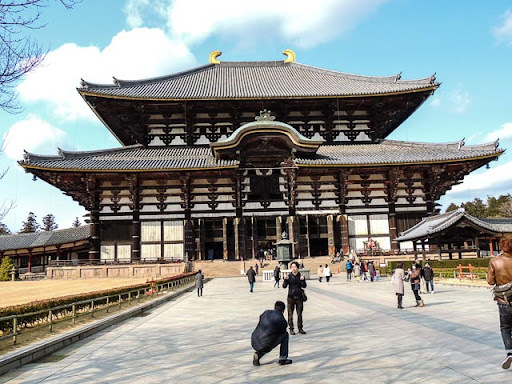 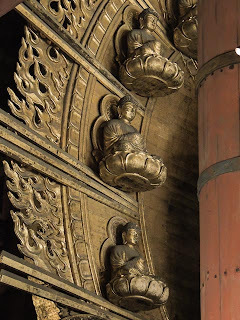 This building, the Daibutsu-den, is reputed to be the largest wooden building in the world. 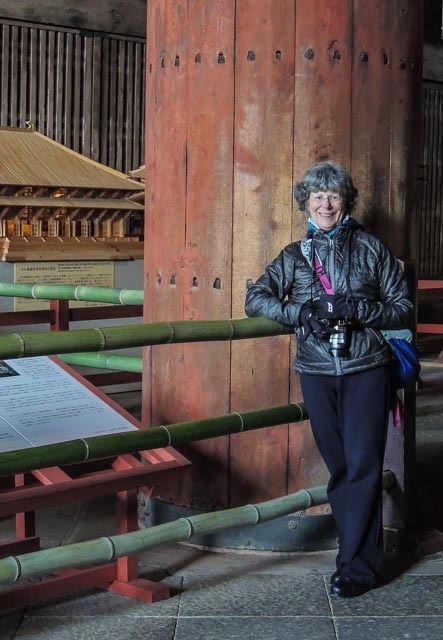 In the picture below, Irene is standing in front of one of the 60 huge wooden columns that support the roof. 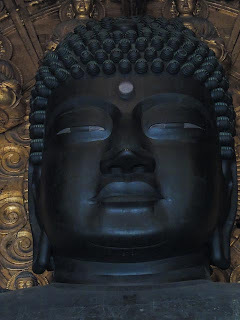 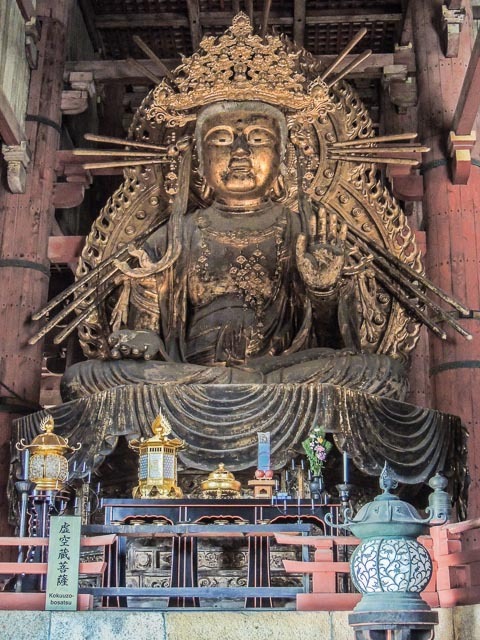 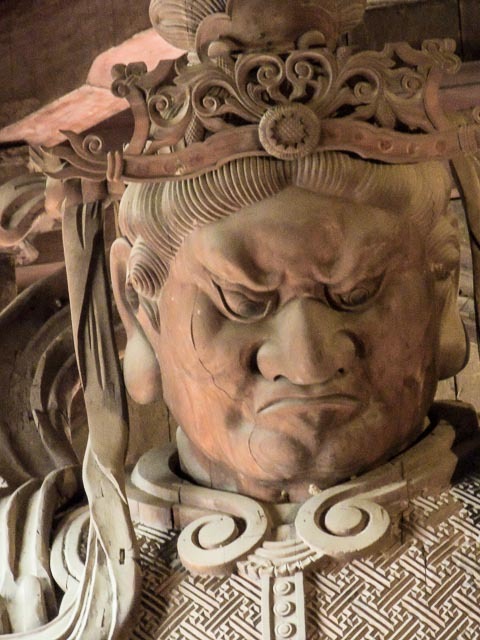 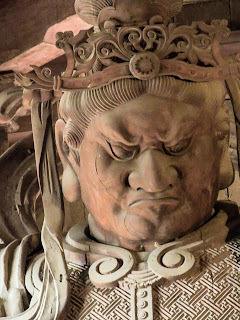 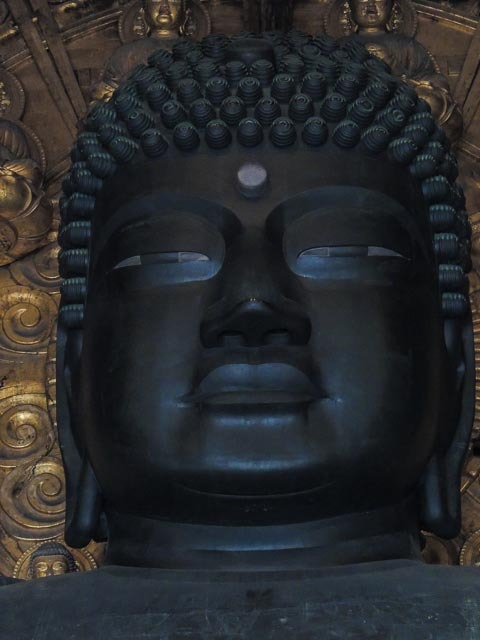 The face of the massive, who calls the Daibutsu-den "home." 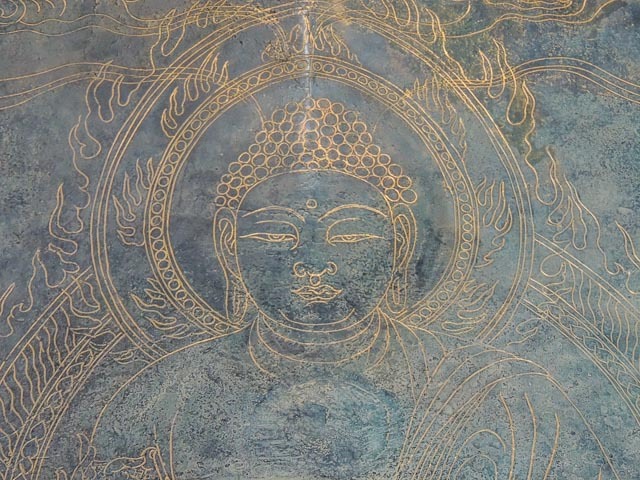 A gold etching in a huge "petal" that once was by the bhudda's feet. 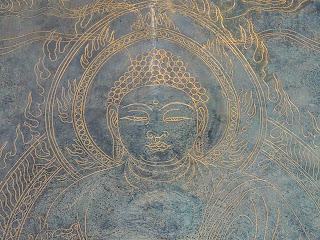 Some sidekicks of the bhudda. 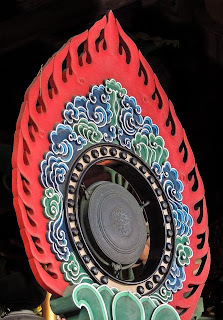 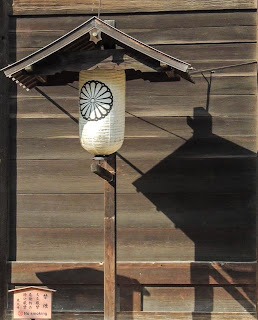 A decoration to provide alitte color. 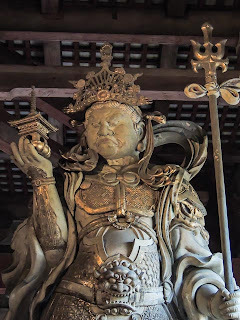 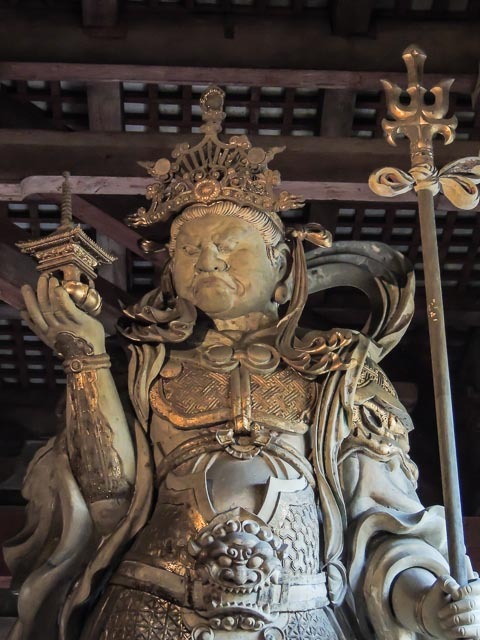 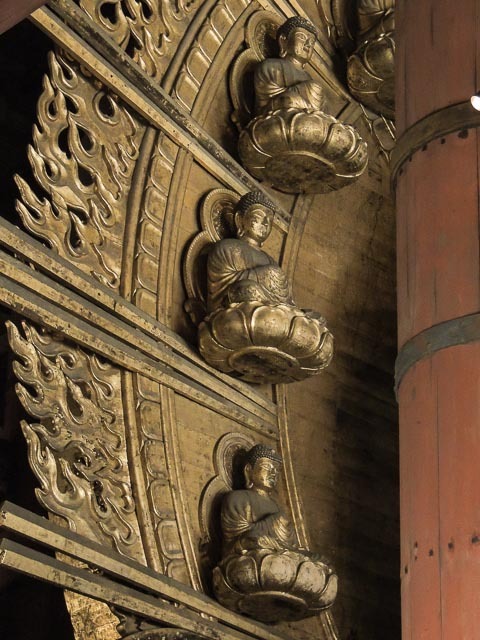 Above and the next two photographs show statues of ancient disciples of Bhudda. 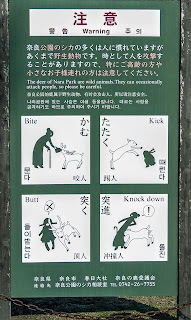 In Irene's blog, she showed a picture of one of the Nara deer; there were hundreds. I wonder if this sign would have a place in Jackson Hole.